The AIT ARINC 615, 844, and 615A Portable Data Loader (AIT-PDL) is a rugged, portable flightline ready system that is designed to perform dataloads to a variety of aircraft LRU's in the fleet. The AIT-PDL supports ARINC 615 & ARINC 884 as well as ARINC 615A load operations. The AIT-PDL accepts software parts files from CD-ROM/DVD, USB, and networked storage locations. Additionally, the PDL inlcudes dedicated internal mass storage (32GB or 64GB). To ensure compatibility with existing ARINC 615 cable assemblies, the AIT-PDL includes an integrated ARINC 615 53-pin connector which also includes ARINC 615A (Ethernet) connectivity. The AIT-PDL is designed for ease of use by the flightline maintenance engineer. The PDL features a simple user interface that provides visual and audio alerts when load operations are completed. The User Interface is intuitive and easy to use, eliminating the need for time consuming software training. All Data Loading activity can be logged, and any error conditions are timestamped and logged for post analysis and troubleshooting. The AIT-PDL includes an internal wrap self-test and also a complete loop-back self-test (with optional external loop-back cable assembly. For more detailed information and technical specs get the AIT PDL-615 Datasheet below! Want a Quote or more information about our PDL Solutions? 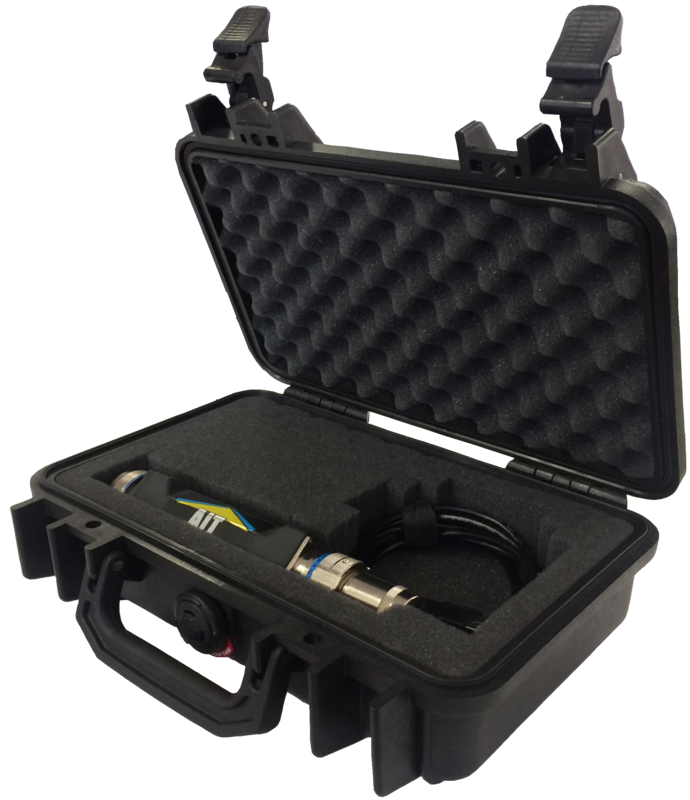 The AIT uPDL-615 is a rugged intelligent cable solution that can be used with any tablet, notebook or PC USB interface to support PDL applications on the flight line, in the depot, or in the lab. The AIT PDL-Manager software can be used for the electronic distribution of LSAPs to the AIT PDLs from a centralized location.